Virtual reality headsets like Oculus Rift are cool, but the wires linking them to PCs are not. So Optoma has tried to remove the cable clutter with a new wireless VR headset. Optoma's VR headset is like a wireless monitor on your head. Users can play 360-degree games and roam VR worlds streamed wirelessly from a PC to the headset. 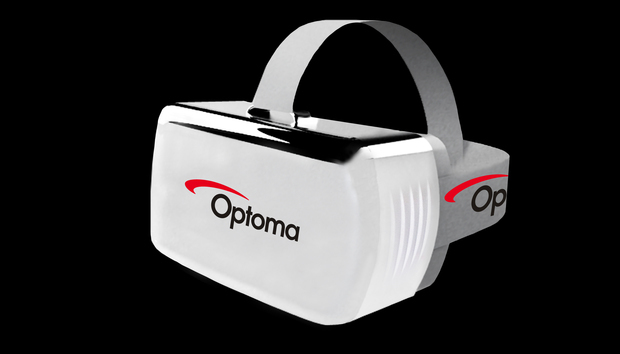 However, the quality of the wireless VR experience could be a big question, though Optoma claims there is no lag. VR headsets wired to PCs generally deliver the best experience. The Optoma VR headset is also different from headsets like Sulon's Sulon Q and Microsoft's HoloLens, which are self-contained VR headsets and don't require PCs. The Optoma headset has a 5.46-inch AMOLED screen with a 1920 x 1080-pixel resolution and a 90-degree field view. Simply called Virtual Reality Head Mounted Display, the headset was shown for the first time at the Game Developers Conference in San Francisco. In a way, Optoma's device is an early demonstration of how cloud-based VR could work. Many 3D visuals for headsets are expected to be generated on remote computers, and then delivered to headsets via wireless or the Internet. Wireless technology will also give users of the Optoma headset freedom to move around within the range of a PC. Oculus Rift users don't have freedom to move around. Content is streamed from a PC to the headset using a proprietary wireless signal operating at the 60GHz band. Further details on the wireless technology weren't provided, but it could be UWB (ultrawide band) technology, which is faster than Wi-Fi. No price has been set for the VR headset, but it will ship later this year.